Our Disney Styled wallpaper for your iPhone will be something you show off to everyone. Inspired by Walt Disney World, these free wallpapers will fit most iOS devices. 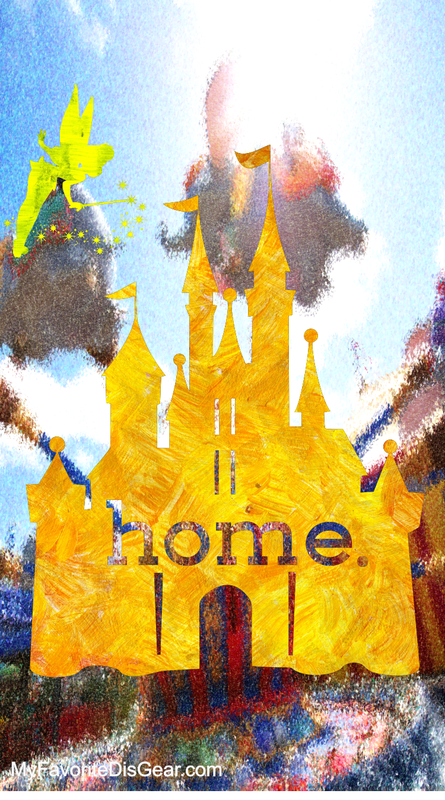 My First set of wallpapers are a version of our classic Home at the Castle print. In striking yellow and orange, this design is back-dropped by a Dumbo print. If you like my designs, please consider a donation to The Wounded Warrior Project, helping veterans get back on their feet.